As the German magazine kicker reported on May 30, Bundesliga club RB Leipzig are on the verge of signing River Plate’s Marcelo Saracchi. 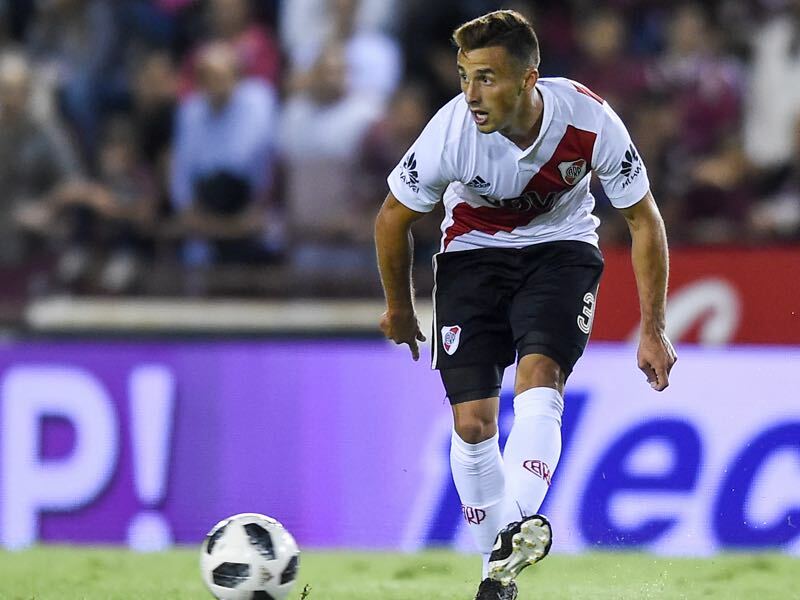 River Plate have since confirmed that a €12 million offer has arrived for the player and the Futbolgrad Network has learned that only details separate the Argentine club and the German Bundesliga side and that in principle a deal is in place that will see the 20-year-old Uruguayan join die Roten Bullen in the summer. The question, however, is what sort of player will Leipzig get? 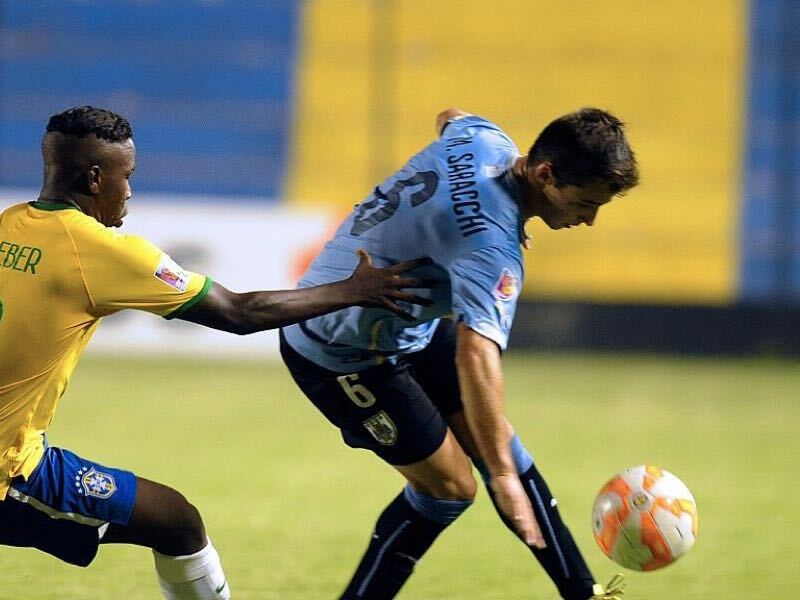 River signed the left-back from the Uruguayan side Danubio FC after a fantastic 2017 U-20 Sudamericano tournament, which took place in Ecuador last summer. Uruguay ended up winning the tournament dominantly. Finishing the preliminary stage in first place ahead of Argentina, Venezuela, Bolivia and Peru La Celeste also dominated the final stage by winning four out of five matches and finishing five points ahead of second-placed Ecuador. Throughout the tournament, Marcelo Saracchi was one of the most dominant players in his side. In fact, it was already at that stage that German clubs that were scouting the tournament took note of Saracchi’s development. But passage is short over the Rio de la Plata and River have a strong history when it comes to signing some of the most talented players from neighbouring Uruguay. Hence, River Plate were quick to secure 90% of Saracchi’s transfer rights for just $1.9 million last season. It was a fantastic business for the Argentine club. Originally, signed as an attacking winger Marcelo Saracchi was quickly adapted to play in a more defensive role during pre-season – Saracchi would later explain that he was taught to defend by River Plate head coach Marcelo Gallardo during that time. Gallardo has been the head coach of River Plate since 2014. Under his tutelage River have had a successful spell winning the Copa Sudamericana, in 2014, the Copa Libertadores, in 2015, the Recopa, in 2015 and the Copa Suruga Bank, also in 2015. At the same time, River have struggled to find a decent left back since Leonel Vangioni left in 2016, and Milton Casco never fulfilled his potential. Hence, when Saracchi arrived, he quickly sent overtook Casco sending the more experienced player to the bench. Saracchi had two essential attributes to make it at River – he is disciplined and constant. Both those attributes are important to make it at one of the biggest clubs in South America. River Plate, after all, are the most successful club by national championships in Argentina. The constant spotlight in the Buenos Aires – Argentina’s buzzing capital – can be relentless but the then 19-year-old Saracchi got the job done. 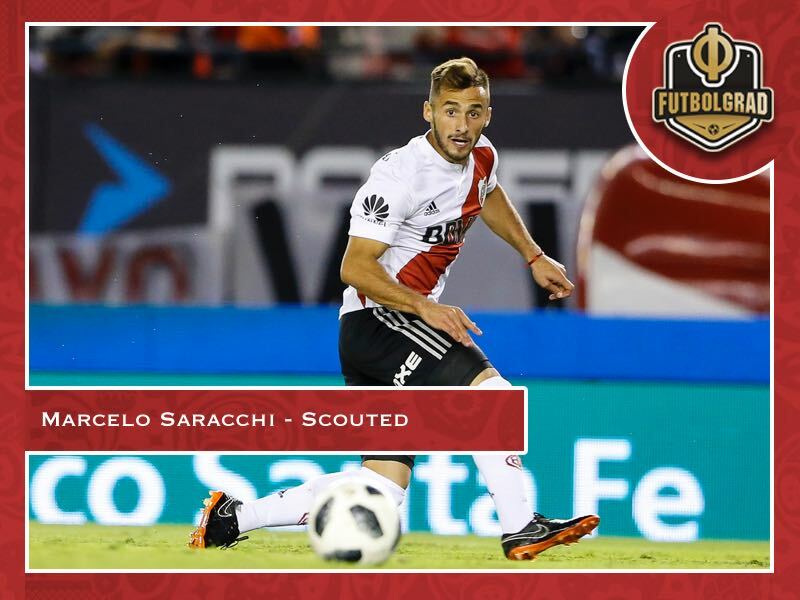 As a result, in just 16 games for River Plate, this season Saracchi managed to increase his transfer value from €750,000 to €4.5 million. Now with RB Leipzig willing to invest €12 million the sky appears to be the limit when it comes to his overall transfer value. But there are also some concerns among RB Leipzig supporters. South America, in general, does not export that many defenders. The perception, therefore, is that the club should use the resources for local talent instead. Furthermore, South American clubs focus less on producing defenders and some of the Argentine and Uruguayan defenders that have made their way across the Atlantic ended up flopping. People, however, forget that RB Leipzig are still a young club and that the development of youth players take time. Until than bringing in players from the outside will be necessary. Furthermore, with Marcelo Saracchi RB Leipzig are adding much-needed depth on the wing. His ability to play various positions on the left means that Rangnick can be relaxed about selling Brazilian left-back Bernardo and at the same time wait for Marcel Halstenberg’s recovery. Saracchi could, however, also fill holes further up the pitch. Negotiations about Ademola Lookman’s future have been difficult with Everton unwilling to sell the attacking winger. Marcelo Saracchi’s ability to also play further up the pitch means that the Uruguayan, in the worst case, could also fill that hole. Either way, RB Leipzig are on the verge of signing one of the most interesting wingers in Argentine football. While Marcelo Saracchi could be a bit of a project, the Uruguayan also has the ability to be the answer to many of the Saxony’s side problems.